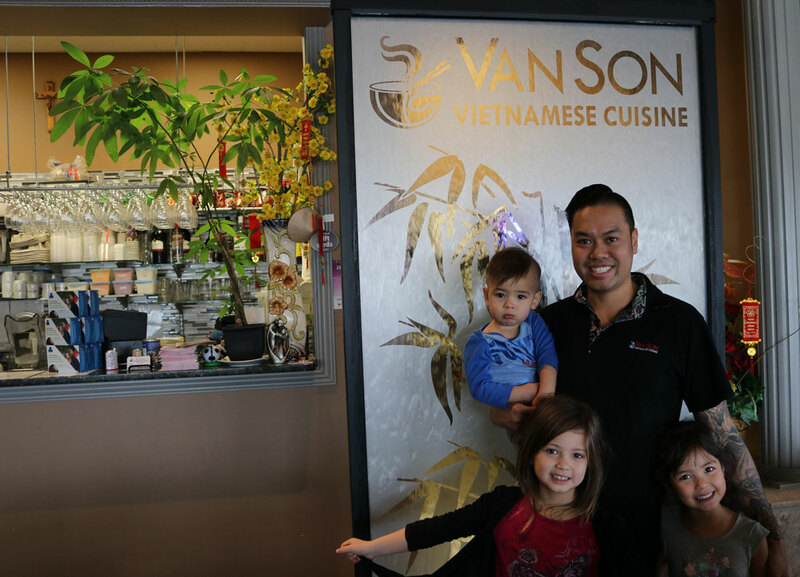 Peter Pham, four year owner of Van Son Vietnamese Cuisine , learned everything there is to know about running a successful restaurant from the inside out. “My family has been in business their entire lives, it made me want to open my own. My first job was washing dishes, serving, and bussing.” ,” Pham said. Now, on a daily basis, Pham works where he is needed, working in the front of the restaurant or preparing food in the kitchen. “I learned the recipes from my mom and my aunt,” he said. Despite having a successful business, Pham has run into challenges. One of the most concerning being local support evolving from convenience. “You don’t have to go to the city to support local, we have everything here,” he added. “I go to local establishments to eat, and my kids go to local programs,” Pham said. Pham is constantly thinking outside of the box for ways to bring in new customers. Offering a text to order option, promotions, and running take-out orders to waiting vehicles in cold weather. “I’ve been trying to do different things to attract people. I’ll try anything at least once,” he said. Although owning and managing a business is difficult, the new people Pham meets every day makes it worth it. “It’s nice because I’m constantly seeing different people, it’s always a different story,” he said. When Pham is not at the restaurant he spends time with his family; taking his children to school, going on bike rides, or going to the lake. “In the evening I start work and my wife takes the kids to dance lessons. We have a really good balance, it’s amazing,” he said. Copyright © The Chestermere Anchor Weekly. powered by Wordpress.